In your role as a family caregiver one of the most important decisions that you will make for your elderly parent is whether you they will need additional care. Having a home care services provider with your parent can make a tremendous difference in their quality of life and also help to ease your caregiver stress and enable you to manage other tasks and obligations in your daily life. By evaluating the potential benefits of home care services you can decide if starting this type of care is the right decision for both your senior and you. 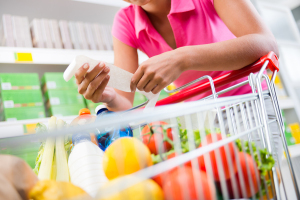 One service that can be highly beneficial and helpful for a senior is grocery shopping assistance. Stocking their kitchen may be something that you often handle on your own, but making it something that they are able to do for themselves can make a huge difference in their mental and emotional health and quality of life. The assistance that a home care services provider offers can make this possible for them. • Safe and reliable transportation. Most elderly adults no longer drive. This can limit their ability to get out and do the things that they need and want to do. A home care services provider can provide your parent with transportation so that they are able to get to the grocery store independently and without having to rely on you and your schedule. • Physical assistance in the store. Once at the store, a home care services provider can make the actual process of shopping more accessible for your parent. Your loved one might struggle with elements of shopping such as reaching, picking up heavy items, or even being able to locate items. A care provider can help with these so that your parent feels more in control while also staying safer while shopping. Starting home care services for your aging parent can be one of the best decisions that you can make for them during your time as their family caregiver. Whether your parent’s needs are extensive and require care and assistance with virtually all of their needs and challenges, or they only have minor needs but would benefit from some support and basic assistance, an in-home senior care services provider can make a tremendous difference in your senior’s life. By being with your parent on a customized schedule, this care provider can help to ensure that they get all of the services that they need while also keeping you at the forefront of their care routine. This means that your parent is able to stay safe, healthy, and comfortable while also pursuing a lifestyle that is more active, engaged, and fulfilling. Services such as helping them with their activities of daily living and personal care tasks, providing safe and reliable transportation, and encouraging them to seek out activities throughout the community can help them to maintain more independence and quality of life as they age in place. This entry was posted in Home Care Services Arlington TN, Personal Care Tips and tagged Home Care Services Arlington TN. Bookmark the permalink.